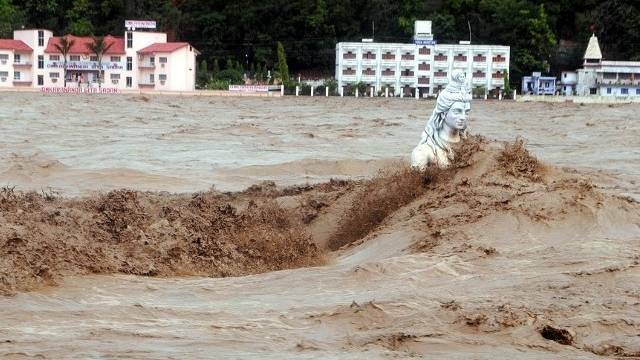 In response to the devastating floods in the Uttarakhand province of India there has been an almost inevitable shift from the initial shock and horror towards attempts to apportion blame for the events. In many ways this is something that happens in other natural disasters and mirrors theories on the 5 stages of grieving, where denial is replaced by anger and bargaining; in this context observers move from passively watching news footage of the developing disaster before talking either to their peers, or perhaps writing news articles or blogs asking “how could this happen?”, “what could have been done differently?” (Representing bargaining in the 5 stages of grief theory). Whilst this process is completely natural and I would never think to criticise anyone’s emotional responses to a natural disaster, I think it is important to try and partition the different components of any disaster in order that we can understand what sort of things CAN be potentially controlled and what elements are to a degree inevitable. In that way energy (and anger) can be directed towards potentially minimising the impacts of future events. Many comments start initially talking about flooding before quickly moving on to other contentious topics like sustainable tourism, dams, ecosystems, etc which have next to nothing to do with people dying in floods. From a hydrological point of view the first thing to understand is land use can change flood risk; for a fairly moderate rainfall event a catchment covered in grassland may experience a minor flood event, whereas one covered in forest may only experience slightly elevated, in-bank river flow (i.e. no flood). The forest intercepts more rain with leaves, rain filters into the ground quicker and thus generally gets to the river slower; minimising the potential for flooding. In urban areas concrete surfaces and drainage systems lead to very fast runoff and to rainfall getting into rivers very quickly, meaning flash flood risk is higher. However this effect of “complex” land cover such as forest, reducing flood risk compared to grassland/bare earth/concrete, decreases as we look at larger volumes of rainfall/larger flood events. Even in the most absorbent ground surface can only absorb a certain amount of water over a given time; therefore as rainfall rate increases larger volumes of water will not soak into the ground and will move quickly to a river as runoff instead. Generally speaking in the very biggest flood events land cover only makes a small impact on flood magnitude (although it can delay time to flood peak). 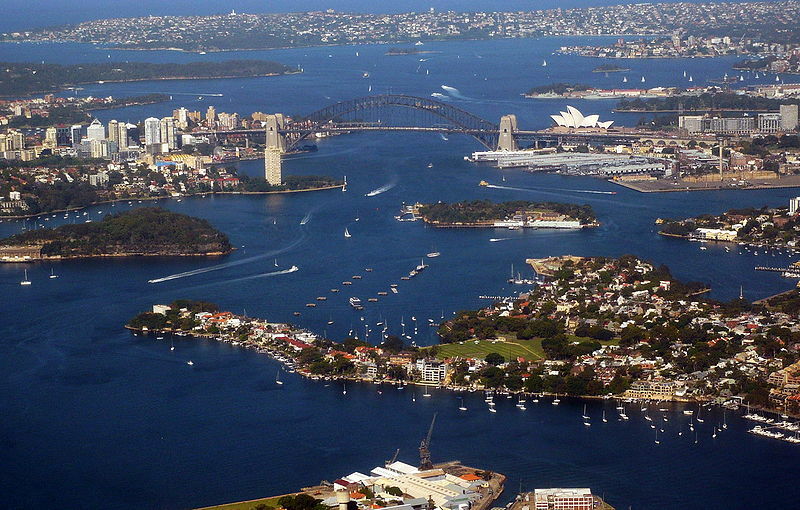 Aerial view of Sydney Harbour. This file is licensed under the Creative Commons Attribution-Share Alike 2.0 Generic license. Looking at the Uttarakhand province it is around 86.6% forest cover (1), so from that respect has fairly ‘runoff resistant’ land cover. Increased urbanisation in the remaining 13% is unlikely to have much impact on the magnitude of very large floods. The event in question had a rainfall rate of 340-385mm in 24 hours (depending on sources). The annual rainfall is 1553mm/yr (1) and although the area experiences most of this during the months June-September due to the monsoon, this still represents ~25% of the annual rainfall in one day. 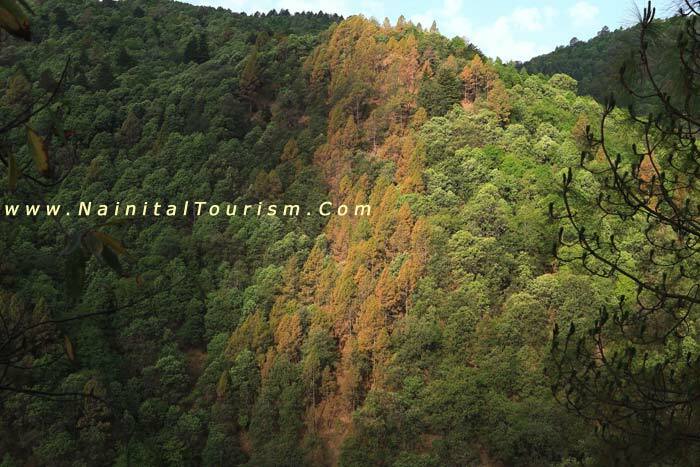 The catchment area above the Maneri Bhali 1 dam (very close to the devastated town of Uttarkashi) is 4024 km2 (3). If we assume the rainfall rate was spatially uniform over the day across this catchment (unlikely to be true, but stick with me) we can integrate that height of water over the catchment area to produce a water volume; in this case 1,488,880,000 m3. To put that into context that is about 3 times the water in Sydney harbour, or enough to fill 60,000 Olympic sized swimming pools. This figure is unlikely to be correct due to the way monsoon rain storms move, meaning rainfall is unlikely to be +340mm everywhere in the catchment during that day, some areas may have been largely dry, however this ‘back of the envelope calculation’ does demonstrate we are dealing with a lot of water over a pretty run-off resistant land-cover. In some crude ways there are similarities with UK events such as Lynmouth and Boscastle in that all these catchments are at high risk of flash-flood type events due to their steep uplands with impermeable geology (in the case of Uttarkhand quartzite with some tectonically derived secondary permeability due to fractures (2)). The conclusion I’d draw from this is minor changes to land cover within the catchment are highly unlikely to have made much difference to the magnitude of the event, due to existing high percentage forest cover. Where bloggers and columnists are correct to say this was a “man-made disaster” is in flood risk mitigation. The keys in catchments like this are early warnings, evacuation/rescue plans and building controls. Early warnings can take the form of meteorological triggers due to certain rainfall rates, or stream gauges upstream of urban locations to give a few hours’ notice of an impending flood wave. This needs to be coupled with local education to make sure warnings can get through and people know what to do on receiving them. These articles in Times of India and The Hindu states that someone knew a flood was imminent in time to do something about it but no-one seemed to know how to get the message out, or what people on the ground were supposed to do with the knowledge. Rescue plans need to include detailed information on where people will be evacuated to and general local geography. One of the most important things, and where I assume things have gone badly wrong in Uttarkashi, is in controlling building on floodplains and close to the river. In my abstract academic bubble I’d like to advocate no building near rivers at risk of flash flooding, however I know that practically this is unrealistic. A more pragmatic approach would be to enforce strict building controls around the material foundations are set on (bedrock, not alluvium which can be washed away/undermined) and the strength/resistance of buildings to partial inundation. Ironically the building of so many dams in the upper Ganga has received criticism, but may be the only way governments could actively attempt to reduce or mitigate these types of flood. The creation of large impounding dams upstream of a vulnerable urban location could theoretically form a flood defence if the reservoir was left largely empty and just designed to store and slowly release a flood wave. Such schemes may exist somewhere, but I am not aware of any. The ecological implications of effectively building a concrete wall across a valley just to contain a rare flood event are tricky to say the least. In this region the impacts of climate change on potentially increasing the magnitude and frequency of extreme weather events, as well as potentially glacial outburst floods from melting Himalayan glaciers, coupled with the risk earthquakes could cause a catastrophic failure of one of the many dams in the region means another flash flood disaster is a virtual certainty in this part of the world in at least the medium term. There is therefore an imperative for the risk to be recognised and for strategies to be developed to try and minimise the loss of life in such an event. This entry was posted in Flooding, Hydrology, Meteorology, Politics and tagged flooding, geomorphology, hydrology. Bookmark the permalink. Likewise, I’m not sure about India, but I believe there’s a flood defence dam of this nature on the upper River Brue above Bruton, Somerset. I won’t post a link for fear of getting spam-filtered, but google should produce results!